Welcome to midcoast Maine home of outstanding restaurants. 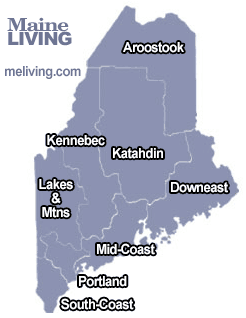 Find great Maine restaurants and Maine casual dining here in midcoast Maine. Find the best Boothbay Harbor Maine lobster restaurants, cafes, and chef-operated inns and eateries. Ask us about Maine or share Maine restaurant news, reviews and comments. To feature your Maine restaurant, contact us. Fresh Maine Lobster by the ocean. Breakfast and lunch by the sea.